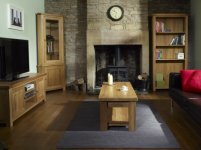 As Charltons Furniture stockists we stock both of the Charlton modern oak living room and office furniture collections. The collections are the Bretagne and Somerdale. Charltons have been selling wood and timber products for over 100 years. The collections have been designed with everyday living at the the centre and with quality as standard you have the perfect addition to your home. The image above shows a selection of pieces from the Bretagne living room furniture collection. Charltons have been selling wood and timber products for over 100 years. The collections including the living room furniture collection have been designed with everyday living at the the centre and with quality as standard you have the perfect addition to your home. Should you wish to visit us in person, as a Charltons Furniture stockist we have a fabulous selection of pieces from the Charltons Bretagne furniture range on display in our furniture showrooms in sunny Southport. Directions and map. 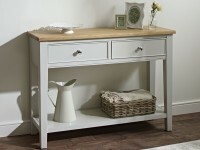 Both collections are available as either oak unpainted or painted with oak tops. Click here to go direct to the Charltons website for the full selection of furniture available in all the collections and also to get a printed leaflet for either of the collections. We offer FREE delivery on all Charltons furniture orders over £1000! The Charltons Bretagne living room modern oak furniture collection is an oak collection with a choice of natural monocoat oil or satin lacquered oak tops as standard and you can then choose a painted finish option if you want or leave the whole piece unpainted. The range includes home entertainment units, bookcases, display cabinets and a wide range of occasional tables including lamp, hall / console, coffee tables and a nest of tables. FREE delivery on orders over £1000! Click on the image or the link above to view the Charltons Bretagne living room furniture range. The Somerdale furniture collection offers a traditional design with a very modern twist and is styled to suit homes from the English country cottage to a new build home. The Somerdale is available in plain or painted / plain finish options like the Bretagne. The range includes a coffee table, a console table, a nest of tables, a lamp table, a TV unit, a display cabinet, sideboards, cupboards and sideboards and tops. FREE delivery on orders over £1000! Click on the image or the link above to view the Charltons Somerfield living room furniture range.